Robert Hastings on CNN's Larry King! Robert Hastings will appear for the second time on Larry King's talk show, according to CNN's schedule. The show is expected to be broadcasted on July 3rd 2009 (Friday), i.e. 11AM CET on the 4th of July. 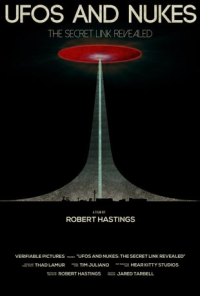 Hastings will probably talk about former military employees who have had experiences with UFOs and nuclear weapons during their cold war careers. It is likely that the researcher will be joined by the film producer James Fox who has made the documentary "Out of the Blue" (distributed to all the members of the Danish Parliament in 2008). It is possible that the former Belgian airforce general Wilfred De Brouwer and Arizona's former governor Fife Symington will also be there. Seth Shostak (SETI-Institute) and Bill Nye (the so-called "Science" Guy) are expected provide their usual closed minded, unhealthy, and positivistic arguments. A plea to the Larry King Show: Please get some scientists this time!....and from the 21st century, e.g. Michio Kaku! We will link to the show when we can find it on youtube. Visit Larry King Live's website. - Click here to read more about the planed show. May 14th: Anne C. Mulkern wrote about the extraterrestrial presence and the link to the world's energy- and climate challenges. The article was published in The New York Times' Greenwire section and revolved around arguments made by the political activist Stephen Bassett. A central point was that exotic technology has to be released to the public so it can contribute to solving the planet's energy- and environmental problems. Read the article "A Climate Solution that's Out of this World" in The New York Times. A Swedish UFO-organisation will make it easier for the public to look through their files. A 250 square meter archive will open its doors to the public during the weekend of May 9-10 2009. It is located in Norrköping and contains approx. 18000 files from Sweden and several thousand documents related to Denmark, Norway and the US. Clas Svahn from "UFO-Sweden" has allegedly stated that the reason why the documents have not been shown before is due to the lack of personnel. But now the organisation has hired a part-time employee. Clas Svahn has highlighted a case where a couple saw a cigar-shaped object land and sink in a lake in 1980 in Norrbotten. The incident was apparently reported to the Swedish military. 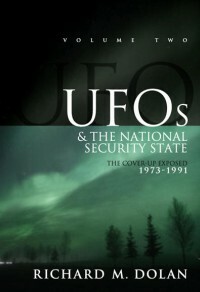 Visit AFO - Archives for UFO Research. Jeff Peckman has written about it in English in the Denver UFO Examiner. The British continue their gradual declassification of UFO-files. A number of documents were released at the end of March 2009. They cover the period from the late 80s to the early 90s. This was the third publication of files and the process is expected to go on during the coming years. The reports are available on the The National Archives' website. Several English newspapers wrote about the declassification, e.g. The Daily Telegraph. Several of the cases are relatively boring and seemingly easy to explain, but a few stand out: a diamond shaped object alarmed the authorities when it hovered over a lake in Scotland. Watch Sky News March 2009. Will Denmark follow in the footsteps of the British and make its second declassification in 2009?